Ronald Charles (Ron) Elstob was born on 29 November 1924 in Toowoomba, Queensland. His parents, Charles Henry Elstob, a labourer and shearer, and Ann Elstob, née Terbutt, the daughter of a grazier with substantial land holdings, were both from Narrabri, NSW, and had moved to Toowoomba from Augathella, Qld, around the time of Ronald's birth. Ron, and his older sisters Vera and Rita, attended Toowoomba East State School. In 1938 the family moved to Sydney where they became part managers of the Marlborough Hotel in Newtown. Elstob completed his education in Sydney and helped out in the family's bar and cellar. In 1939 Ron joined the East Sydney Branch of the Labor Party where he distributed pamphlets for Eddie Ward, a family friend and Member for East Sydney in the House of Representatives. Too young to join the AIF at the outbreak of war, in 1942 Elstob joined the United States Army Small Ships Section, a ragtag collection of trawlers, sailing craft and aged freighters crewed by men and boys considered too young, too old or medically unfit to serve in the regular forces. With shallow drafts which made them able to land on small beaches, the ships carried troops as well as aviation fuel, food, ammunition and other supplies for the New Guinea campaign. The work was dangerous with much travel at night; rough weather was considered safer. After a year of supply runs to Milne Bay, Port Moresby and other locations along the New Guinea coast, the ship on which Elstob was serving was sunk by a Japanese Zero fighter and the crew stranded at Finschhafen. With no means of returning to Australia, Elstob and his four crewmates spent the remainder of their time in New Guinea as coast watchers. Dropped by torpedo boat onto an uninhabited island, the group reported on movements of Japanese aircraft and ships via radio. Stealth was essential. They kept to the cover of trees and avoided lighting fires or leaving footprints on the beach. They constantly moved camp and caches of food and supplies were hidden over the island. In an interview recorded in 1990, Elstob recounted that his life was constantly in danger and he was forced into drastic and violent actions to stay alive. One of only two of his company to survive, Elstob was shot in the ankle and lost an eye. In later life, Elstob recalled his war experiences with bitterness. He took the view that as the allies had cracked Japanese naval codes they knew every move of the Japanese. Coast watching in Elstob's view was simply a ruse to conceal the allies' knowledge from the Japanese and resulted in the unnecessary loss of many lives. When he returned home, Elstob turned his back on the war and did not join the RSL or participate in ANZAC Day marches. Elstob never forgave the Japanese either. In the postwar period Elstob worked selling forklifts, cranes, pallets and other industrial equipment. His work took him around the country and in 1948 he met Angela Elizabeth Smerlac on a trip to Adelaide. They were married in 1949 and settled in Allenby Gardens, Adelaide; they had two daughters. Elstob found work on the waterfront as a crane driver for the Port Adelaide Haulage Co. Ltd.
Elstob joined the Port Adelaide Branch of the Waterside Workers' Federation in 1949. He was vice-president of the branch from 1964 until at least 1970, was a delegate to the Trades and Labor Council between 1966 and 1968 and to the ALP state conference between 1966 and 1968 and 1970 and 1972. He served on a number of committees that reported on mechanical problems on the waterfront and protected the interests of members within particular stevedoring companies. Elstob joined the Hindmarsh sub-branch of the ALP and worked as an organiser for Clyde Cameron's successful campaign for Hindmarsh at the 1949 federal election. As his organisational skills became apparent he served as president (1951–53) and secretary/treasurer (1954–72) of the Hindmarsh sub-branch, and campaign director of the Hindmarsh federal electorate committee (1965–77). Battling with what he regarded as an impossibly corrupt system by which the distribution of state seats disadvantaged the ALP, Elstob later said that he was prepared to use any means possible to achieve the election of Labor candidates. Labor premier Don Dunstan, who continued the electoral reform process begun by the Liberals' Steele Hall, was, in Elstob's view, 'the best thing that ever happened to South Australia'. Elstob was approached by Reg Bishop to stand for preselection for the Senate, although Elstob thought he had left his run too late; it was Dunstan who finally convinced him to stand. At the December 1976 ALP special convention he was preselected in second position behind Geoff McLaren: 'almost a walk-in start'. Elected in December 1977, he worked at the party office until his term commenced in July 1978. 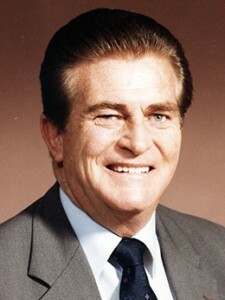 Elstob was placed first on the ticket for the 1983 election, and was the first senator elected. In the Senate Elstob spoke enthusiastically on industry and transport. He did not see a role for governments in industrial relations negotiations and supported collective bargaining and industry unions over recourse to courts of arbitration. Elstob raised health concerns on industrial pollutants, especially the exposure of workers to asbestos. He was, however, reluctant to accept warnings on the dangers of smoking. Elstob said that he smoked '40 to 50 cigarettes a day' and had 'smoked since I was 12 years of age'. He challenged the minister representing the Minister for Health, Senator Peter Baume, to a fitness contest—Elstob happened to be a dedicated practitioner of Tae Kwon Do at black belt level. Water resources were another concern with Elstob suggesting: 'Australia should be looking into the idea of bringing icebergs to this country' and supporting a private senator's bill to establish an institute of freshwater studies. Elstob expressed a 'vital interest' in parliamentary committee work. As a capable chair (1983–87) of the Standing Committee on Social Welfare, Elstob steered inquiries into income support for the retired and the aged, and into children and youth in institutional and other forms of care. Chair of the Publications Committee from 1983 to 1987, from 1984 Elstob also chaired a committee of experts that oversaw the production of a fourth edition of the Commonwealth Style Manual in 1988. He served as a temporary chair of committees in the chamber from 1981 until 1987. Elstob took a close interest in defence procurements as part of his work on the Joint Committee on Foreign Affairs and Defence and in 1986 was one of three Labor committee members to call for the government to take a tougher stance on sanctions imposed by Indonesia against Australian journalists over press reports alleging corruption by President Suharto. An offhand interjection during a speech by Senator Missen in 1982 caused Elstob much embarrassment. He had commented that the meals served in the parliamentary dining room 'would kill a brown dog'. The Parliament House chef announced his resignation and had to be persuaded to return, while catering staff staged a 24-hour strike. Elstob apologised in the Senate, sparking the headline 'Senator in food row eats humble pie'. The Parliament House chef unveiled a metre-high dog sculpted in butter and margarine in Elstob's honour. 'Senator Elstob', Senator Chaney remarked during valedictory speeches in the Senate in 1987: 'will always live in our memory as the senator for brown dogs'. I believe in democracy and I believe in a type of socialism. I don't believe that in socialism we should take over industry ... I do believe that in a country like Australia we should guarantee people certain rights, guarantee them democratic rights ... the right to a good medical service ... the right to education ... the right to work ... . If you can't count numbers in politics, don't go into it. It doesn't matter whether you've got the best idea in the world unless you can count on the numbers to support that ... You've got to be able to count, and count accurately. Recording of interview by Ron Hurst with Ronald Charles Elstob, 27–28 Feb. 1990, POHP (access restricted); Trissia & Bill Waddingham, The Descendants of Ralph Terbutt and Ann McIntyre, Evagean Publishing, Earlwood, NSW, 1998. POHP; Bill and Ruth Lunney, Forgotten Fleet 2, Forfleet Publishing, Medowie, NSW, 2004. 'Profile: Ron Elstob', House Magazine, 1 Nov. 1983, p. 3; Advertiser (Adel. ), 29 July 1950, p. 5; Archives of the Waterside Workers' Federation, Port Adelaide Branch, NBAC, N90/239, 487, 609, 693–699. POHP; ALP, Biographical Details, House of Representatives and Senate Candidates, 1983; Interview, tapes 5–6. CPD, 13 Sept. 1978, 4 June 1981, pp. 2687–8, 27 Aug. 1981, pp. 444–5, 17 Feb. 1982, pp. 107–8, 6 May 1982, pp. 1972–3, 18 Aug. 1982, pp. 100–101, 25 Feb. 1982, pp. 498–500, 3 June 1981, p. 2508; POHP. House Magazine, 1983; Senate Standing Committee on Social Welfare, Income Support for the Retired and the Aged: Progress Report, Canberra, 1984, Children in Institutional and Other Forms of Care, Canberra, 1985; Style Manual for Authors, Editors and Printers, 4th ed., AGPS, Canberra, 1988; CPD, 18 Nov. 1982, pp. 2528–9, 23 March 1987, pp. 1143–5; Age (Melb. ), 24 April 1986, p. 6. CPD, 25 March 1982, p. 1191, 4 April 1982, p. 1769; CT, 30 April 1982, p. 1, 20 May 1982, p. 3; SMH, 5 May 1982, p. 3; CPD, 5 June 1987, p. 3689. CPD, 5 June 1987, p. 3700, 19 April 1985, p.1229; John Button in R. Scott and K. Wilson, 'King Gough: Madness or Magnificence? A Retrospective View of the 1975 APSA Conference', APSA, Melb., 2000; POHP. This biography was first published in The Biographical Dictionary of the Australian Senate, Vol. 4, 1983-2002, Department of the Senate, Canberra, 2017, pp. 267-269.